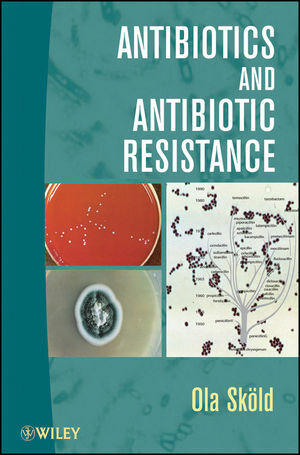 This book, which is the translated version of a Swedish book, combines a general introduction of a variety of antibiotics with a more in-depth discussion of resistance. The focus on resistance in learning about antibiotics will help future scientists recognize the problem antibiotics resistance poses for medicinal and drug-related fields, and perhaps trigger more research and discoveries to fight antibiotic resistant strains. Ola Sköld, MD, PhD, is a professor in the Department of Microbiology at Uppsala University. He has also taught as a visiting professor at both the University of California and The University of Auckland in New Zealand. He is the author of over a hundred scientific papers published in international journals in the field of antibiotics and antibiotics resistance. 1. Antibiotics, the Greatest Triumph of Scientific Medicine. 7. Further Antibiotics Interfering with Bacterial Protein Synthesis. 9. Antibacterial Agents that are not Related to the Large Antibiotic Families. 10. Mechanisms for the Horizontal Spread of Antibiotic Resistance Among Bacterial. 11. How to Handle Resistance Against Antibiotics?